It is more than four months that Dr. Hatoon Ajwad al-Fassi, world-renowned Saudi scholar, professor, writer and women’s rights advocate has been in detention in Saudi Arabia. Her arrest, on 21 June, coincided with the lifting of the ban on women’s driving in the kingdom. We are very concerned about Dr. al-Fassi. Furthermore, her arrest and that of other women’s rights advocates provide evidence of the deeply troubling turn in what has been publicized as a reformist, modernizing agenda. 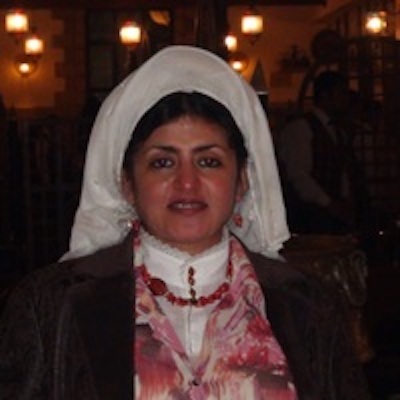 Until recently, Dr. al-Fassi was Associate Professor of Women’s History at King Saud University in Riyadh where she had been a faculty member since 1992. She is the author of two important books — Sanawat fi ‘Umr Al-Mar’ah Al-Saudiyyah [Years in the Lives of Saudi Women] (2018) and Women in Pre-Islamic Arabia: Nabataea (2007), and numerous articles and book chapters on the lives and status of women in the Arabian Peninsula, in the ancient world as well as in the contemporary period. A highly-respected historian of international stature, she has received numerous honors and accolades, among them, induction in 2008 into the prestigious “Ordre des Palmes Académiques” – a French order of knighthood for distinguished academics and figures in the world of education and culture. Alongside her scholarship, Dr. al-Fassi has written since 1993 a widely-read, weekly column on contemporary social affairs in al-Riyadh newspaper. We call upon the Saudi government, at this historic moment, to release Dr. Hatoon Ajwad al-Fassi and other women’s rights advocates who remain in detention. Dr. al-Fassi should be allowed to continue her most valuable work as scholar, writer, mentor and advocate for the greater good of her country, her fellow citizens, and women throughout the region and the world.